JOLIET, IL – A Will County Board member has announced her intentions to become the next Will County Clerk. Lauren Staley-Ferry, a Democrat from Joliet, cites her experience in the private sector and her experience on the county board, in preparing her to take on the role of county clerk. “I am proud to announce my candidacy for Will County Clerk, and I am ready to continue the tradition of fair elections, that are run efficiently and effectively,” Staley-Ferry said in a press release announcing her candidacy. In recent weeks, Clerk Nancy Schultz Voots announced plans to retire at the end of 2018 after serving as the county clerk since 2002. According to her candidate bio, Staley-Ferry is a lifelong Joliet resident who lives with her husband, Ed, and their son Matthew. She is active in several Joliet-area organizations including the Zonta Club of Joliet, Wish Upon a Star, Joliet Chamber of Commerce and Habitat for Humanity. 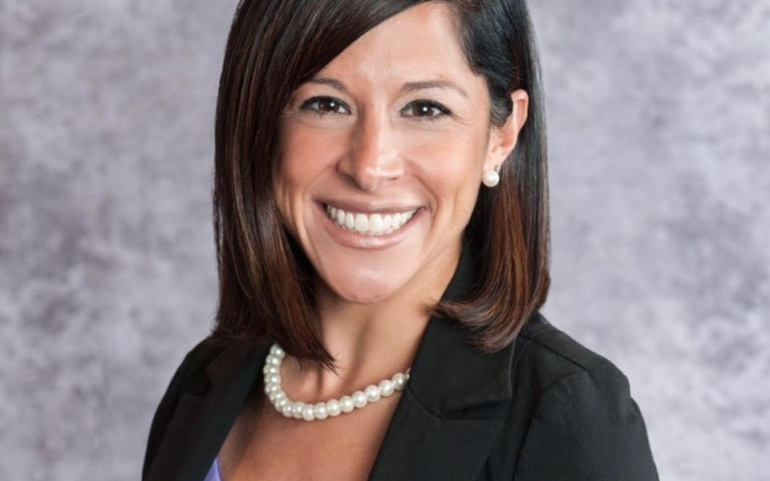 She also serves on the executive board for Big Brothers Big Sisters Will and Grundy Counties and recently joined the board at the Spanish Community Center of Joliet.